Billboard magazine had this to say about The World's Shortest Stories Vol. 1, "What is most impressive in this collection of great stories is the sheer variety. Let's hope a second volume of these tiny gems will not be long in coming!" Love and death, and all of the horror in between. 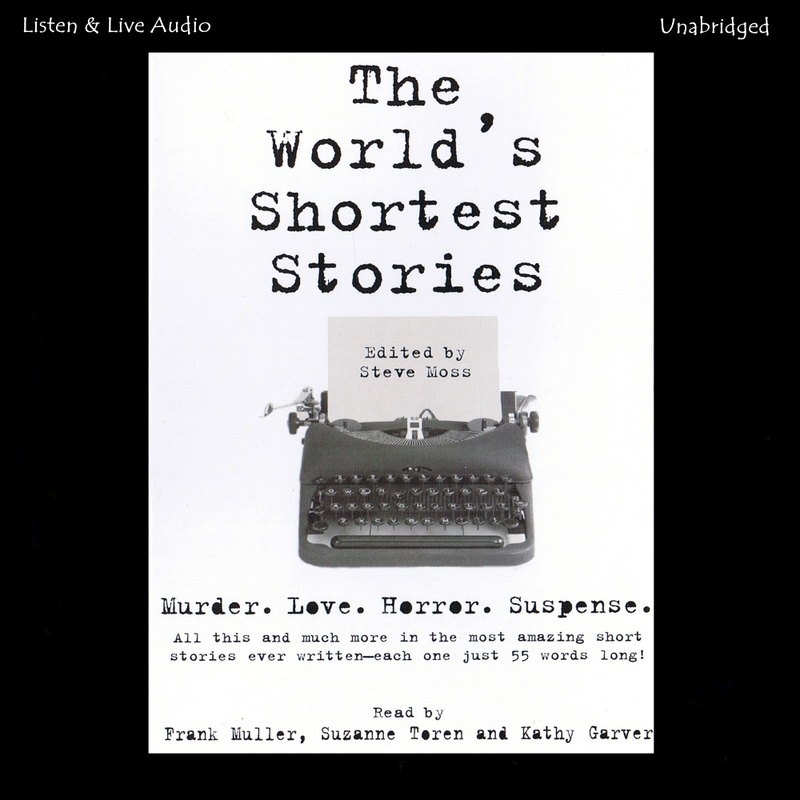 A second helping of the most amazing short stories ever written-each one just 55 words long! Imagine O. Henry's tales if he'd only had the back of a business card to write upon. Steve Moss has always liked words--so much so that he decided to start his own weekly newspaper so if there was nothing around to read, he'd have no one but himself to blame. He has been a reporter, editor, busboy, art director, construction grunt, advertising copywriter, and graphic artist. He is the editor and co-publisher of New Times in San Luis Obispo, where he started Fifty-Five Fiction as an annual writing contest. Alyssa Bresnahan has been named one of the "Fifty Greatest Voices of the century" by Audiofile. Her stage credits include MacBeth at the Classic Stage Company and Hedda Galer at the Hudson Guild Theater. She has narrated more than 50 audiobooks. She lives in Santa Monica, CA. Laura Hamilton is a two-time recipient of ALA Notable Recording Awards and numerous Publishers Weekly 'Listen Up' Awards for her numerous audiobook narrations. Ms. Hamilton has also done video and radio voice-over work for such companies as AT&T Broadband, the Chicago Bulls, Busch Gardens and Chicago's world famous Field Museum. She lives in Chicago. 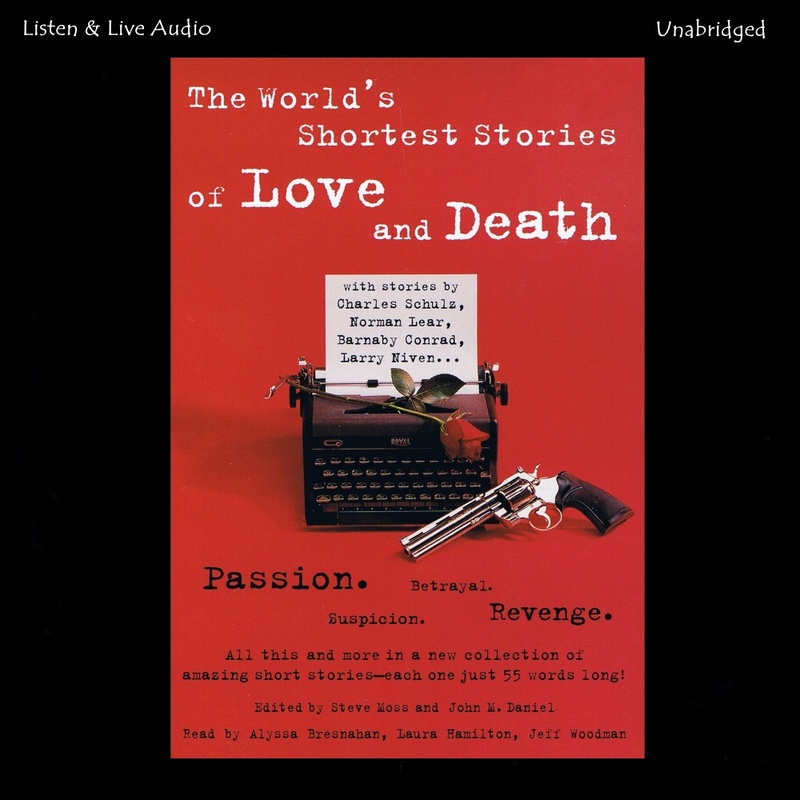 Jeff Woodman has been named one of the "Fifty Greatest Voices of the Century" by Audiofile. On stage, he created the title role in Tennessee William's The Notebook of Trigorin and won the S.F. Bay Area Critic's Circle Award for An Ideal Husband. He lives in New York City. "It's all here: Betrayal, seduction, murder, divorce, hopeless longing, unbridled passion, and so much more. 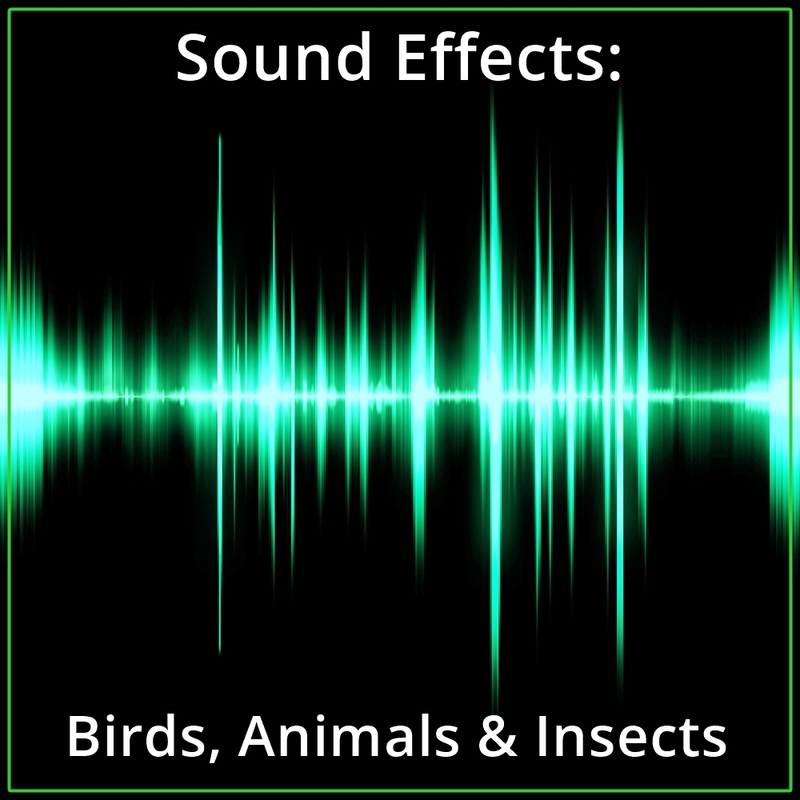 At one minute per story, listeners can consume them effortlessly, and even laugh or be moved." "This collection is entertaining and proves how much can be done with a very short fiction form. Listen and enjoy." "A must for any library audio collection and a great gift (or present for yourself) for the commuter or traveler."